British Virgin Islands is one of the oldest and most respected offshore financial centres in the world and considered a benchmark for other offshore tax havens. British Virgin Islands corporations or BVI IBCs, incorporated under the International Business Companies Act No.8 of 1984 has had a steady growth, registering more than 450,000 companies. The purpose of the British Virgin Islands International Business Companies Act No.8 of 1984 is to provide the legislative framework for companies that seek to carry out international business activities from a tax exempt, secure and confidential environment. The British Virgin Islands provides a highly professional infrastructure with a competitive advantage over most offshore jurisdictions. 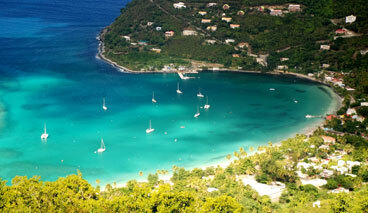 Companies can re-locate from other jurisdictions to the British Virgin Islands. Also, British Virgin Islands offshore companies or British Virgin Islands IBC's have the flexibility to re-locate out of the British Virgin Islands. Shares may be issued in any currency or in more than one currency. Shares may be paid up in cash or through the transfer of other assets. The standard share capital is $50,000 or an equivalent in anothercurrency. The minimum paid in and issued capital is one share. The names and identities of shareholders and directors are not made public, thus ensuringprivacy. Shareholders and directors nominee services are permitted to ensure the confidentiality of the beneficiaries. Company records can be held in any part of the world. Under the BVI Business Companies Act of 2004, BVI business companies are exempted from all taxes and stamp duties for a period of 20 years. Shareholders and directors meetings are not required. Shareholders and directors meetings, if considered necessary, can be held in any part of the world. Company meetings can be held by telephone or by any other electronic means. Company formation is cost effective when compared to other traditional offshore financial centres. Incorporation is very efficient and usually can be completed within four (4) business days.